With more than 30 years as a karate instructor, Mr Perez is a 8th degree black belt in American Tae Kwon Do. He received the 2004 award of "Instructor of the year" from A-kaTo, a credible five state Tae Kwon Do organization. Type the letters and numbers from the image into the whitebox below, and then click the 'Email Form' button. 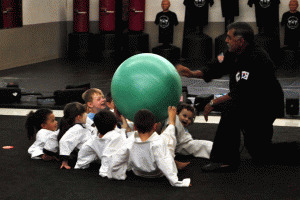 Mr. Perez began his martial arts instruction in the 1970's while serving in the United States Marine Corp. He has attained mastery in American Tae Kwon Do. He has much knowledge in other styles including Kobudu, Aikido, Aki Ju Jitsu, Krav Maga, Judo, Kenpo, and Military Hand-To-Hand combat. Mr. Perez achieved his first degree black belt in the 1980's He continues his direction under Grandmaster Keith Yates, a nationally recognized leader in the martial arts and founder of the American Karate and Tae Kwon Do Organization (A-KaTo click patch link above). Mr. Perez is at the level of 8th degree Black belt in Tae Kwon Do which carries the title of Grand Master and a 1st degree Black belt in Kobudo (weaponry). 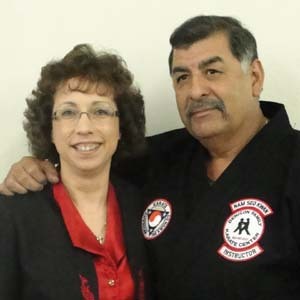 Mr. Perez has taught children and adults alike since the 1980's and has been a karate school owner in Denison, Texas since 1984. GrandMaster Rhee�s first American black belt was a Texan named Allen R. Steen who built the Lone Star state into one of the first strongholds of Karate in the U.S.A. Steen opened the first Karate school in Texas in 1962 in Dallas. Mr. Steen�s reputation as a champion and instructor of champions in the 1960�s and 70�s was rivaled only by California�s Chuck Norris (whom Steen defeated to earn the 1966 International Karate Championships). Steen, Norris, and other pioneers of the American Karate took bits and pieces of different styles and molded them into a uniquely American system of martial art. While there are many accounts of the history of the martial arts, they are often biased in favor of the particular style of the author. Although Korea has a long history of martial art practice, as do other Asian nations, Tae Kwon Do is actually a style created in the 1950�s after the Korean War. China is usually considered the birthplace of the martial arts. An Indian Buddhist monk named Bodhidharma is said to have traveled to China around 525 A.D. Traveling monks introduced their methods into other countries. About 1300 years ago the Hwa Rang warriors of Korea developed an unarmed fighting art known as Subak and later, Taekyon. In 1910 Japan overran Korea and outlawed Korean customs and martial arts. By the end of World War II Korea was liberated from the Japanese occupation by the USA and her Allies. Thousands came back home to openly practice both the traditional Korean systems and the other Asian styles. In 1955 the leading masters met to try and unify the many schools under one name. Korean army general Choi Hong Hi (pronounced chay) suggested the name Tae Kwon Do (the �way of kicking and punching�) and it was eventually accepted by many Korean teachers, including Jhoon Rhee. General Choi Hong Hi made up the first Tae Kwon Do training patterns or hyungs, also known by the Japanese term, kata. Instructors and schools within the A-KaTo maintain an eclectic but traditional approach to American Karate and American Tae Kwon Do. Keeping the emphasis on the ''art'' of the martial arts, this approach also incorporates techniques from several other styles such as aiki-ju-jutsu and kobudo. In fact, A-KaTo instructors can earn their black belt ranking in these two systems as well.